Kodi 18.1 Leia is officially out and now available for download on for all the supported devices such as Amazon Fire Stick, FireStick 4K, Fire TV Cube, Windows PC, Mac, Android, iOS, and Linux. With major code refactoring and innumerable changes to the GUI, Leia is expected to offer a better experience than its predecessor Kodi Krypton. The developers have been working on this upgrade project for nearly 2 years and now the final stable release is available publicly. In this article, you will find the most significant changes that are most likely to have an effect on the user experience. However, if there are any new developments or updates, we will update the article. Kodi 18 Leia: What’s New? The changelog for Kodi Leia is huge. I have sourced it as is from the official Kodi website. You will find it at the bottom of this article. I have also added the list of bug fixes/improvements released with Kodi 18.1 Leia. Whether you are using FireStick, Fire TV Stick 4K or any other Fire TV device, you can download and install the Kodi Leia within minutes. Since Kodi Leia is now officially available, you can find it in the official app store. Alternatively, you can also download the app from the official Kodi website via links below. The downloaded file will be in .exe format and you can install it like any other software on your Windows PC. Simply double-click the downloaded file and follow on-screen instructions. Still, if you are not comfortable, you can check the installation guide here. The Kodi app will download in .dmg format like any other MacOS app. Double-click the downloaded .dmg file and when you see the new window, move the Kodi icon inside the Applications folder. You can check this guide for detailed instructions. 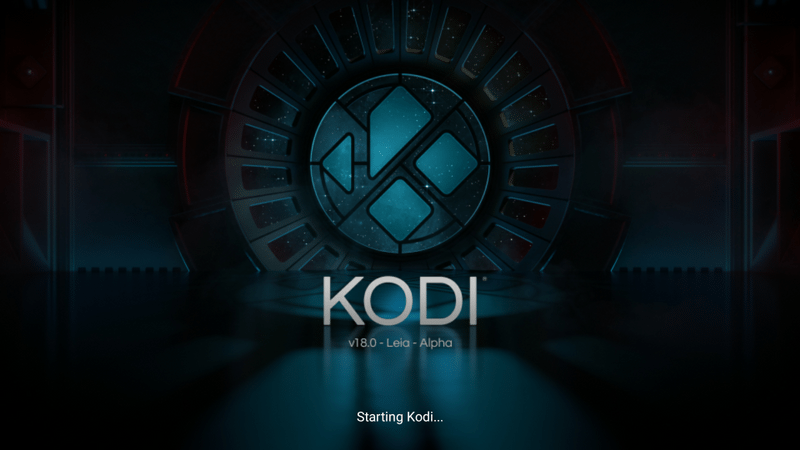 To learn how to install Kodi Leia on iOS follow this guide. It is very easy to install Kodi APK on Android devices, but if you need help, here is the installation guide. Xbox One is now installing Kodi Leia 18.1 from the official Microsoft Store. This means that Krypton 17.6 version is no longer available officially. Fix playing VP9 streams using the inputstream addon. It failed because codec extradata is non-existent for this stream codec. Added extentions to Kodi’s Addons AP to support Game Client Addons, supporting Kodi’s VFS (Virtual File System), etc. Added processing of ARTISTSORT (TSOP), ALBUMARTISTSORT (TS02) and COMPOSERSORT (TSOC) tags to provide a sort name for artists. Added a new dialog for selection of both artist and album scraper addons, and their settings. Added support for Extended Artwork, making the local art that is picked up automatically on scan configurable. Improved use of BAND and ENSEMBLE (Vorbis and APE) tags. Tip: If you are a new Kodi user, follow this Kodi resource to find the best Addons, Builds, and other popular guides. KODI 18.1-2, it freezes and the most annoying thing, it mutes often while playing. When I play music, it mutes during every single song, sometimes twice. I decided to stop using it, I will see in the future if new versions are ok, for time being KODI is useless. Recently I updated version 17.6 to 18.1. Now, I have problem to playing .avi files. mp4 and mkv working well. I have downloaded Kodi 18.0 Leia recently to my Android Tv Box (ATB). Tried installing Indigo via http://fusion.tvaddons.co. It does not install. It reports that it is not a zip file. What is the correct url, please? I’ve tried 3 versions of 18 and none of them allow search. The rest of it works fine. Hi Nigel, which search are you referring to? KODI V18 LEIA = On my Abox Android player the AVI files shake shudder and freeze, so I have gone back to version 16.3 as I hate 17.6 which kept installing itself and now this Abortion v18 has installed itself which is even worse than 17.6, but no doubt V18 will keep installing itself periodically as I re-boot and I will keep deleting it and re-installing v16. so to all the developers of KODI V 18 LEIA, Thanks for NOTHING and piss off. Hi Patrick, It is not a build I have downloaded, as I have found them to be full of stuff that don’t work. It is one that I have built myself using the Aeon Nox skin, then using the Back up/Restore wizard to load off USB. This has always worked fine up until now. I also realise that Leia, doesn’t allow you to download the skin Aeon Nox in the normal way. All this said I have gone back to the 17.6 version which works just fine. Hi Steve, yes, Leia is still work in progress and is buggier than I like. I hope developers fix these glaring issues soon. This is permanently on the screen even when playing films. Hey Steve, please share the name of the build you are using. The build in Keymap editor not working in kodi v18. It used to work in v17.6. 1 Kodi 18 Leia: What’s New?